The bubbly flowed again when Fat Rice chef Abraham Conlon, co-author of THE ADVENTURES OF FAT RICE: Recipes from the Chicago Restaurant Inspired by Macau (Ten Speed Press), won the James Beard Award for Best Chef: Great Lakes. Congratulations to Ms. Hamilton and Mr. Conlon as well as their editors and publishers. 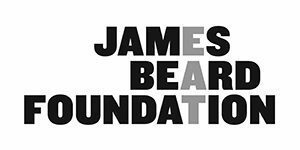 View the complete list of 2018 James Beard Foundation Chef and Restaurant Awards winners here.